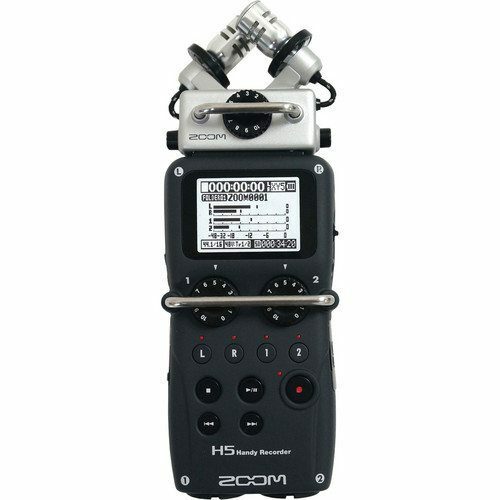 Zoom H5 provides four tracks of simultaneous recording and, like our flagship H6, it can use all Zoom interchangeable input capsules, allowing you to choose the best microphone for every recording situation. The flexible and powerful H5 provides everything you need to create multi-track recordings, audio for video, and state-of-the-art podcasting, broadcasting and electronic news-gathering. X/Y recording allows you to cover a wide area yet still capture sound sources in the center with clarity and definition, making it ideal for all types of live stereo recording. 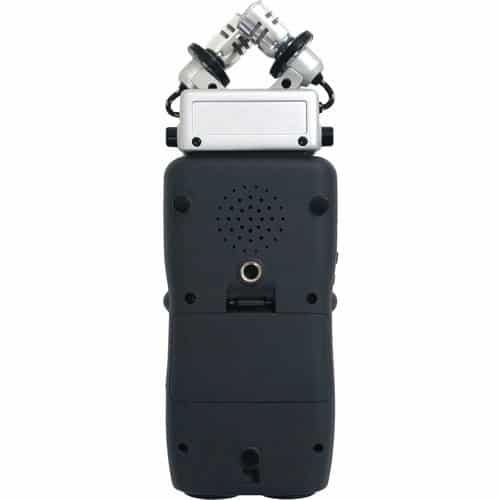 The XYH-5 X/Y microphone capsule included with the Zoom H5 provides two matched unidirectional condenser microphones set at a 90 degree angle. These are housed within an advanced shock-mount that employs rugged external mic wires and rubberized material to isolate the unit from the H5 body and thus minimize vibration and handling noise. Zoom H5 also provides everything you need to connect with the outside world. Dual combo XLR/TRS inputs that can handle both mic- and line-level signals allow you to connect external microphones and line-level devices like mixers, portable music players, effects processors, and electronic keyboards-even electric guitars or basses equipped with active electronics. There are lots of output options as well. 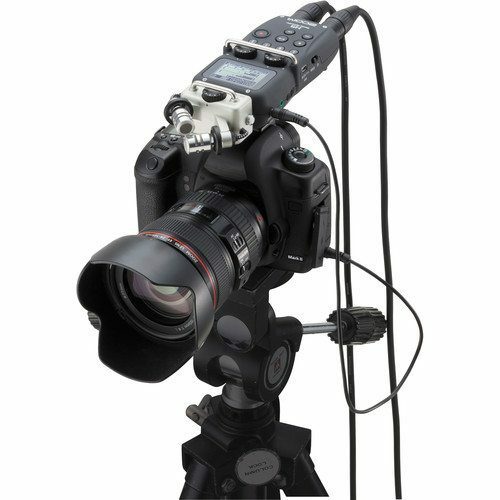 A dedicated Line Out with adjustable volume allows you to send a stereo audio output from the H5 to the mic input of a video camera or other device without the need for an attenuator cable. In addition, there’s a separate headphone output with a dedicated volume control. 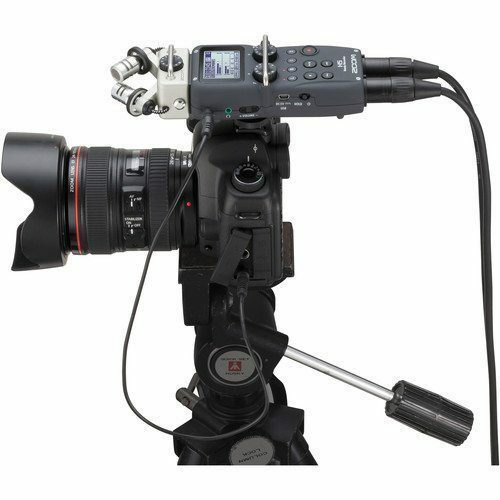 You can use both outputs simultaneously to route audio to your DSLR while monitoring over headphones. Just 2 AA batteries – either alkaline or rechargeable NiMH are required for power. When using alkaline batteries, the H5 will operate for more than 15 hours, even while recording continuously. You can also use an optional AC adapter to power the H5 without batteries. The Zoom H5 records directly to SD and SDHC cards up to 32 gigabytes.